Please note that Callaghans Bar is closed from Friday to Sunday inclusive. We had a lovely stay, suited us perfectly for the night. Modern room and bathroom with great facilities. Friendly and welcoming staff. Very good value for money. Definitely recommend if you're needing somewhere to stay for a short break in the area. Me and my girlfriend stayed here for 4 nights and was immediately impressed with the staff and facilities. Our troubles began when our room got cleaned for the first time and an old, cold mug of tea which was un-finished was left on the side of our table and not chucked away/replaced. Even if the cleaner didn’t want to throw it away, they should have left a spare mug and they didn’t leave any extra sugar or milk for more tea but did give more tea bags.... apart from this we had a good experience and would recommend the hotel. It’s just that we expected just a little more from the price and from the fact that’s it’s a “Holiday Inn”. The location is quite good relative to my work visit. Staff is really helpful, helped us with luggage because there was no lift unfortunately. Have a good amount of basic amenities. A very convenient and good place for a family to stay. Very happy to recommend and to stay again. Wide ranging menu available in restaurant to residents and non residents. 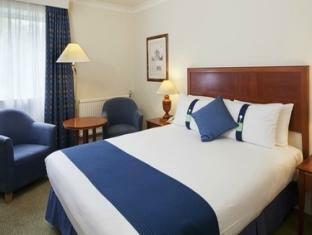 Good hotel, large room, clean, friendly staff, parking, swimming pool, located just off the M4. Very pleasant, one night, uneventful and quiet. I like to stay at This holiday as it is close to Heathrow, free parking and close to Costco !! 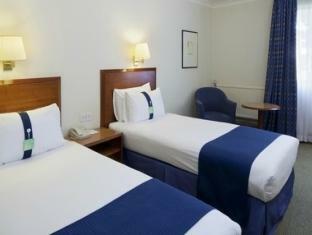 Rooms clean and staff friendly and helpful. Location, staff and parking ! This was the first time I stayed here. The room was large and clean but seemed to be at back of hotel in the "annex". I got a good rate so can't complain. The staff were very friendly and efficient. 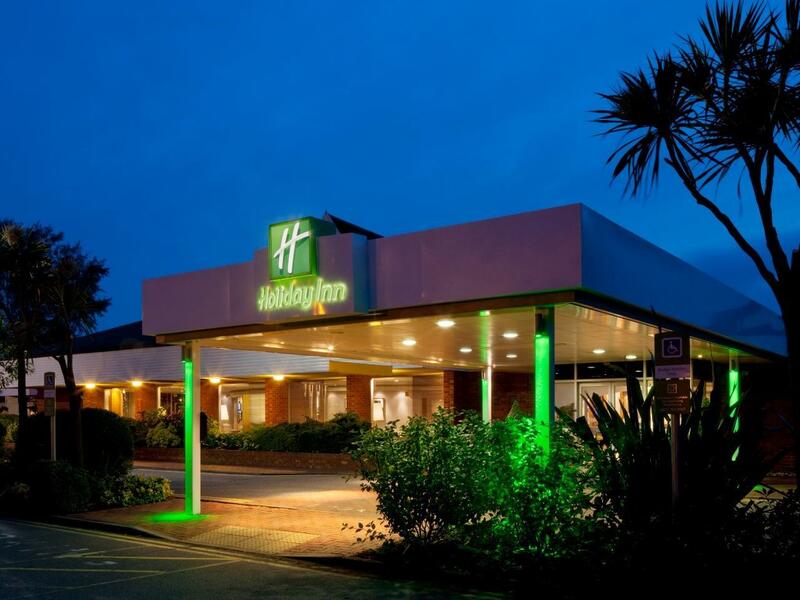 I booked as it is easy access to Heathrow (about 45 minutes) on Jct 11 of M4 and ample free parking (airport hotel always charge). My stay was OK and my room was clean and tidy. However it was noisy from corridors and upstairs hallway.